During the cold season, most of us feel the itch and rough skin. Its important to apply moisturizers to the face in order to keep it fresh and alive. Applying cold creams comes with some harmful effects in the long run. 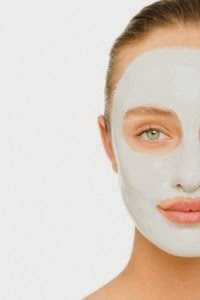 We should go for natural face masks made at home using the fruits, vegetables, curd, honey, turmeric, etc. 2) Egg + Honey : Egg as we all know how important is for a healthy living and building up of muscles. Raw egg contains natural protiens that energizes the face and make it bright. Take 1 egg white and remove yellow yolk part from it. Mix 1 T of curd and honey. Mix it thoroughly and apply. Make sure to wash with cold water. Avoid warm water on egg mask as there are chances that it may get boiled up. 3) Banana and Yogurt Mask : Take hald a banana and 2 T of curd in a blender. Make a uniform mixture. Spread the mixture onto your face and leave it for 20 minutes, or until it dries. 5) Heavy Face Mask : 100gm papaya, 3 T Curd, 1 egg white without yellow, 2 T honey and 1 T lemon juice. 6) Apple + Cucumber : Half Cucumber + Half Apple in a blender. Blend in thoroughly. Add 1 Egg white and half spoon olive oil. Apply and leave for 20 minutes. Follow above practice twice a week for glowing skin and face without pimples.